Ron Davis Custom Homes is setting the standard for Modern Luxury Custom Homes in Dallas Texas. An Award-Winning Builder, RDCH wants to help you realize your vision for your home. 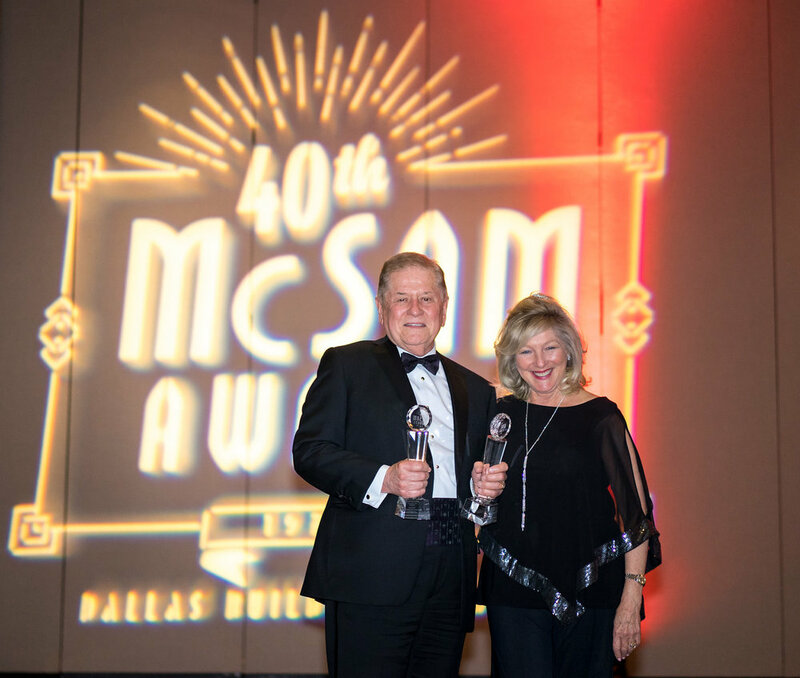 We are proud to annouce that Ron Davis Custom Homes has won 2 awards at the 40th Annual McSam Awards presented by the Dallas Builders Association. We are proud to be able to take home these very prestigious awards as a recognition of all of our collective hard work of team and vendors! We are all very proud to the be the Luxury Builder of the Year and are excited for the future of Ron Davis Custom Homes and what this year will bring. We sincerely believe that Ron Davis Custom Homes is consistently setting the standard for luxury living in Dallas and we will work hard to defend our title next year by raising the bar in 2019. Ron Davis at the 2019 McSam Awards presented by the Dallas Builder's association, accepting an award for "Luxury Builder of the Year" for Ron Davis Custom Homes.